Blogging is fun and it is a lifestyle. But blogging is also a business. If you want to turn your blog into a business many bloggers have to slightly change their blogging approach. Blogging best practices can help you to do that. Instead of writing what they want, and how they want to write it they suddenly have to consider another point of view on their blog: Their audience and customers. Where previously your blog could be anything from a collection of stories to a notebook for thoughts and a colorful mix of topics, you now have to put more focus into your blogging and consider how your audience will perceive and like what you do on your blog – and what is more, you have to think about how you can even reach an audience. Make your blogging life easier with the following 6 blogging best practices and tips that will help you stick to blogging – and make it grow! Think about the blogs you follow? What are they writing about? Are they mixed topics where you only follow because of a small part of the topics or are you concentrating on blogs with a clear topic focus? In reality, it is much easier to grow a loyal and interested audience if you concentrate on ONE main topic. The reasons are manifold. If you have a clear topic you can concentrate on finding an audience for exactly this one topic. It is much easier to explain what your blog is about. People are not bored or even annoyed with all the other stuff they are not interested in. I know that sometimes it may seem easier to find enough ideas for blog posts if you choose a variety of topics. But in the long run, it makes everything else about blogging a lot easier if you stick fairly closely to one topic – or rather one target audience. A blog is not a diary. A blog is written for an audience – or it will never have an audience. If you want to grow your blog audience, you have to provide something on your blog that some group of people wants to have and consume. The more you know about this group of people that you want to address with your content, the better can you get at creating exactly what they are looking for. create high-quality blog content instead of just focusing on the number of posts you can create. Rather create one post that is important and includes a ton of information, is well researched and uses some helpful images. This will get you further than a handful of posts that have no real value for your audience. Find a schedule that works for you: Publish a post every Monday, or twice a week, or on the weekend. Whatever suits you as a schedule can be ok, but make sure that your audience knows what they can expect. When does it make sense to look for a new post? A schedule will also help you to stick to blogging regularly. If you know your next post is due on Tuesday, you will find a way to create it. If you have a loose schedule like “ Oh, I will need a new post soon,” there will come the time when everything else will be so important that you keep postponing your new post – and for your audience, your blog looks almost abandoned. If you can solve problems that a group of people has – these people will not only like your blog, they will need your blog. The more important and pressing the problem is the more impressed will they be if you help them solve their problems. If it is a big enough problem, this may be the best starting point for turning your blog into a business. This is what many bloggers are not aware of when they are starting out. A large part of the time you spend on building and growing your blog needs to be spent on promoting it. Writing posts is only a small part of your blogging life. And even before you publish your first post, you need to have a first idea where and how you start getting visitors to your blog. The times when new content on the web found an audience naturally through Google are long past. No matter which niche you are in, there is already someone there who wrote blog content about it. Google and search engine optimization will need some time to build up for a new blog. And if you do not promote your blog, Google might not even notice that your blog exists – or rather ignore it because it has no audience so it is not important. If you need some tips on how and where you can start promoting your blog and get traffic, start with this blog post. Blogging always includes some recurring tasks that you have to do over and over again. Whether it is posting to social media daily, or answering comments on your blog or writing emails. The most important truth about these things is: They need to be done. Again, and again. Some tasks may seem annoying and won’t give you many results when you start doing them. Because success comes with continuity and consistency. No social media channel was instantly famous or giving huge amounts of traffic. They have all needed time to grow an audience. And success came with consistency. Blogging habits will help you achieve your goals. 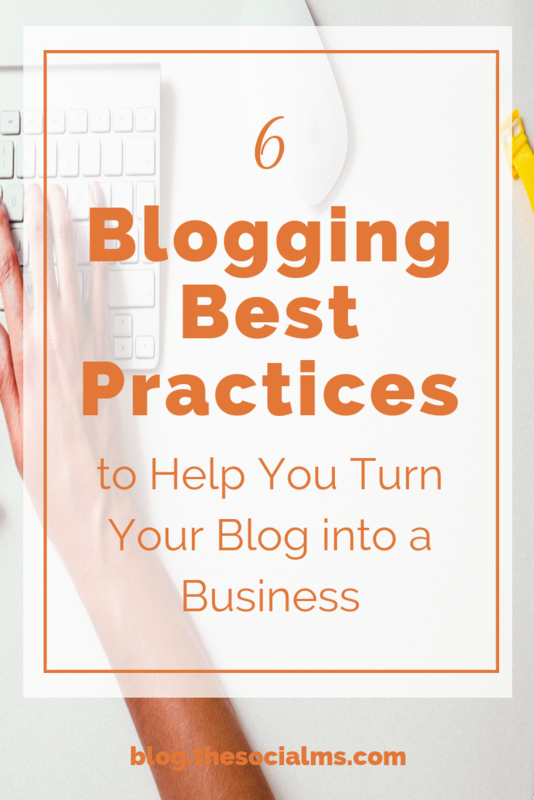 The above 6 blogging best practices should be a must for every new blogger. If you are not aware of them you will have a hard time starting your blog and turning it into a business. Starting a blog can be overwhelming and intimidating. Following the above tips will help you to make your new blogging life a little more organized and goal oriented. And whatever you do and wherever you are right now on your blogging journey, keep in mind that every successful blogger you see today was exactly where you are today a couple of months or even years ago. They (We) all needed time to grow and learn. No blogger was born perfect in every aspect of blogging. Some things we all had to learn. You need traffic to your blog or website! 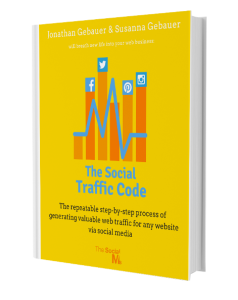 Are you struggling with your traffic generation? We know how that feels!